ST1000NX0333 Seagate Enterprise Capacity V.3 1TB 7.2K RPM SAS-12GBITS 128MB Buffer 2.5inchs Hard Disk Drive. Refurbished. 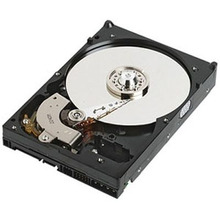 ST9146853SS Seagate Savvio 146GB 15K RPM 64MB Buffer 2.5Inches Form Factor 6GBPS SAS Hard Disk Drive. Refurbished. ST900MM0026 Seagate Savvio 900GB 10K RPM SAS 6.0GBPS 64MB Cache. New Bulk Pack. ST1200MM0008 Seagate Enterprise Performance 10K.8 1.2TB SAS-12GBITS 128MB Buffer 2.5inch Internal Hard Disk Drive. New Retail Factory Sealed With Full Manufacturer Warranty. ST2000NX0403 Seagate Enterprise Capacity V.3 2TB 7.2K RPM SATA-6GBPS 128MB Buffer 512N 2.5inch Hard Disk Drive. New Retail Factory Sealed With Full Manufacturer Warranty. ST373207LW Seagate Cheetah 73GB 10K RPM 8MB Buffer 3.5Inches Form Factor Ultra320 68Pin SCSI Hard Drive. Refurbished. ST3300007LC Seagate Cheetah 300GB 10K RPM 8MB Buffer 3.5Inches Form Factor Ultra320 80Pin SCSI Hard Drive. Refurbished. 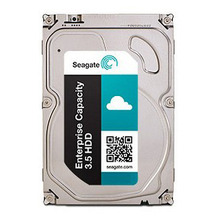 1HT274-001 Seagate Enterprise Capacity V.4 2TB 7.2K RPM SAS-12GBITS Dual Port 128MB Buffer 3.5INCH Hard Disk Drive. New Retail Factory Sealed With Full Manufacturer Warranty. ST3000DM002 Seagate 3TB 7.2K RPM SATA-6GBPS 64MB Buffer 3.5inchs Internal Hard Disk Drive With Secure Encryption. New Retail Factory Sealed With Full Manufacturer Warranty. 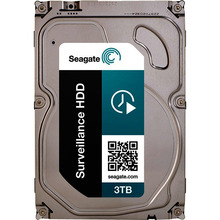 ST2000VX003 Seagate Surveillance HDD 2TB 5.9K RPM SATA-6GBPS 64MB Buffer 3.5inch Internal Hard Disk Drive. Refurbished. ST2000NM0004 Seagate Enterprise Capacity V.4 2TB 7.2K RPM SATA-6GBPS 128MB Buffer 4KN 3.5inchs Hard Disk Drive. Refurbished. ST3000NM0053 Seagate Constellation ES.3 3TB 7.2K RPM SATA-6GBPS 128MB Buffer 3.5Inch Internal Hard Disk Drive. New Bulk Pack.